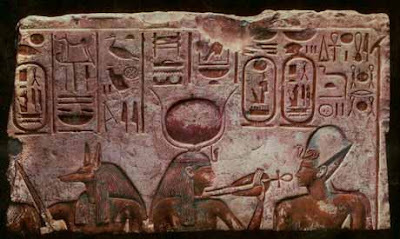 In October 2015 a relief of Seti I was recovered from an unspecified London auction-house (Nevine El-Aref, "Egypt recovers Stolen relief of King Seti I from London", ahramonline October 4, 2015). This was seized by British police and has now been returned to Egypt (Nevine El-Aref, "Stolen relief of Egyptian King Seti I recovered from London", ahramonline December 14, 2015). The piece was identified by Marcel Marée of the British Museum. The relief is currently being conserved in Egypt.